Moreelse was born around 1603 in Zundert and died October 1634 during a plague epidemic in his hometown. Like Dirck van Barburen and Henk ter Brugghen he belonged to the Utrecht school of Carravigisti, and like them, he had visited Rome to study Caravaggio’s work firsthand. The Greek philosopher we see in the painting is Democritus, who, together with his mentor Leucippus, is well known for his theory of Atomism. He is also known as the laughing philosopher. Compared to his achievements in philosophy his reputation as the laughing philosopher seems to be largely based on anecdotal stories than on his work. It was further fuelled by paintings like this one (Antoine Coypel, Diego Velazquez and Rembrandt van Rijn also painted portraits of him, but none of them as exuberant as this one). 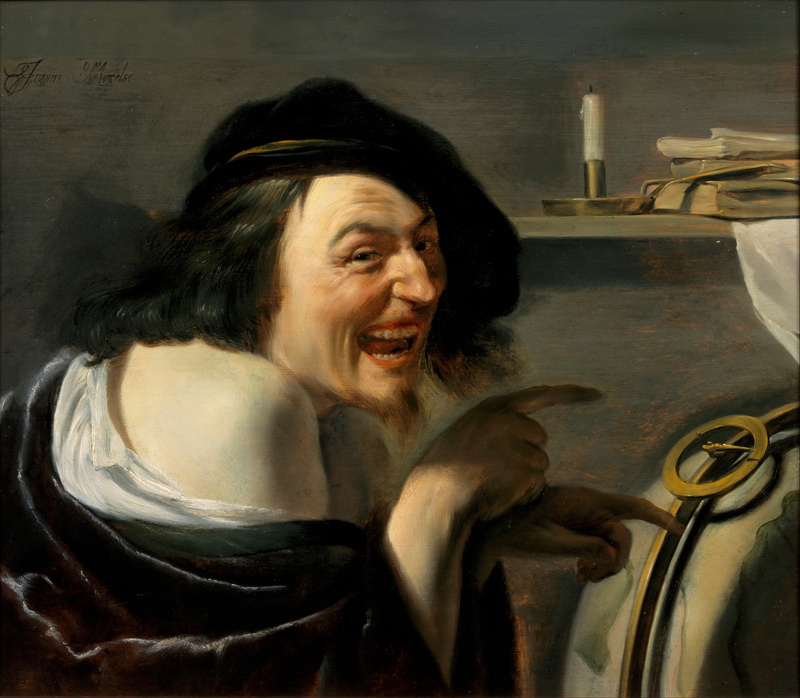 Democritus laughing at the world, also by Moreelse (c. 1630). His reputation as the laughing Philosopher is exaggerated: “Happiness resides not in possessions, and not in gold, happiness dwells in the soul.” is about the only thing he stated on the subject. But it has a nice ring to it and the title stuck around. 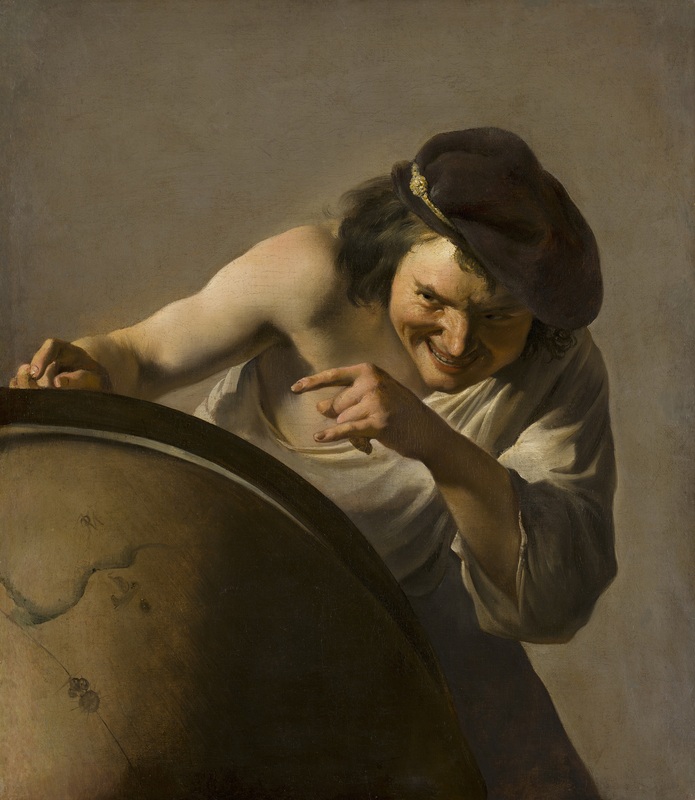 Moreelse made a number of versions of Democritus using different angles and different colours, the one above is made in the same period and can be seen in The Mauritshuis in The Hague.